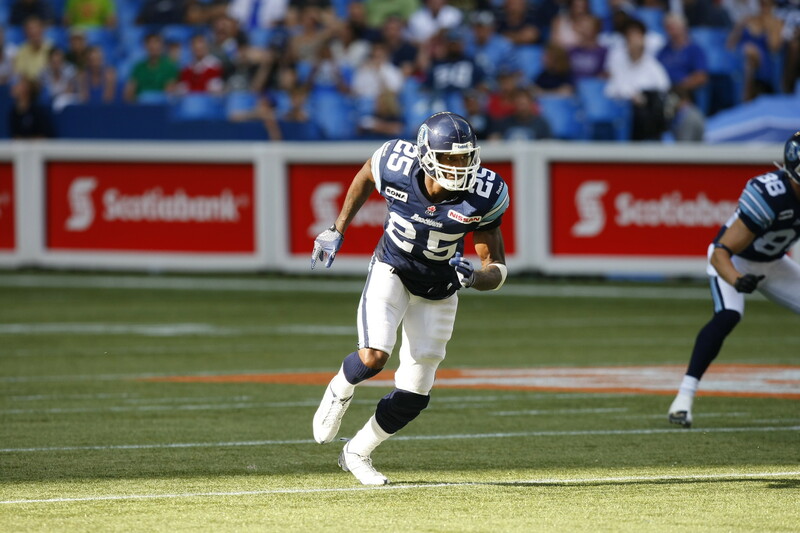 TORONTO – Toronto Argonauts’ import, starting cornerback, Patrick Watkins is still adjusting to his new life in the Canadian Football League following four weeks of play in his rookie season. The 29-year old Tallahassee, Florida native is coming over from the NFL where he spent four seasons with the Dallas Cowboys from 2006-2009, and one shortened season with the San Diego Chargers in 2010. While Watkins has had a tremendous start to his CFL career with the Argos, and says that it’s all about going out and playing football, he admits that he is indeed adjusting to the Canadian style of play. “I’m still adjusting to the bump and run coverage because we have to give that yard off, so I’m having to use more technique and foot movement,” said Watkins following a recent Argonauts practice. 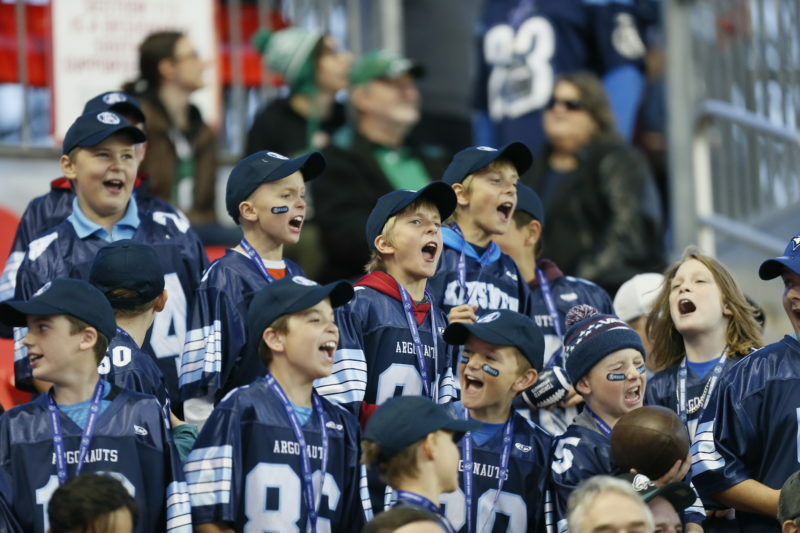 Watkins is currently first on the Argos with 18 tackles and has already generated two turnovers for his defence in three weeks as the starting cornerback. Pat attended Florida State University prior to being drafted by the Dallas Cowboys in the 2006 NFL draft. At Florida State, he played in forty-nine consecutive games and started in twenty-three games from 2002-2005 with the Seminoles. In 2003, Pat earned his first career start in college football against Miami University in the Orange Bowl. He recorded nine tackles in the game. In 2004, Pat started all twelve regular season games for Florida State and finished the season tied for second in the ACC with four interceptions. Pat’s final year with the Seminoles was truly memorable. Watkins helped Florida State capture the ACC Championship and led them to the Orange Bowl where they were defeated in a triple overtime thriller by Penn State University. Pat ranked third on the Seminoles with 77 tackles in his final season at Florida State in 2005. From his days in college to his time in the NFL, Pat has played the safety position for virtually his entire professional football career. 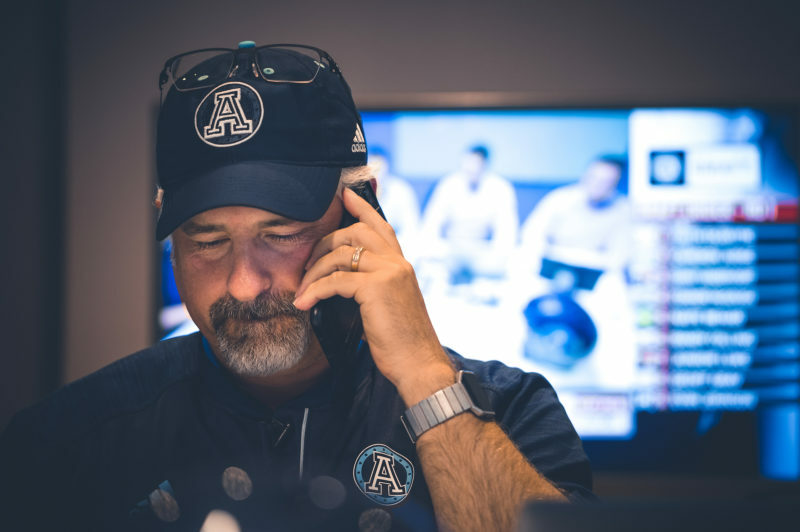 However, since coming north of the border to the Argonauts, the coaches decided that Pat would best fit their defensive schemes as a cornerback. At six feet, 5 inches tall and 205 pounds, Watkins has good size, speed, and strength to be able to keep up with the very quick receivers in the CFL. He also has great ball skills and jumps at any opportunity that can result in a turnover for his defence. “I feel like, with the yard off the line, I can get an advantage on the receivers in the CFL,” said Watkins. In week two against the Calgary Stampeders, Pat definitely showcased his incredible talent and ball skills when he recorded nine tackles and an interception, which he returned 58 yards to give his offence great field position deep in Stampeders territory. Pat is one of the very few modern day CFL players that has been drafted in the NFL and has had the opportunity to get playing time as a member of an NFL team. However, with that being said, Pat has also had to make many adjustments and has faced no shortage of adversity over the course of his professional football career. In 2010, Pat lost his job with the San Diego Chargers due to a knee injury. He also missed the entirety of 2011 recovering from that same injury and now, in 2012 with the Argos, he must wear a protective knee brace at all times while on the football field. Watkins signed with the Argonauts as a free agent on May 30, 2012. His two months in the CFL have been a roller coaster ride and he’s still trying to find his comfort zone as a member of the Double Blue. “It’s been a lot of adjustments on the fly. The coaches have brought me along and they’ll continue to work with me,” said Watkins. He attributes his CFL rookie season success to his coaches and all the hard work that they have been putting in to make sure that he can succeed every single time he steps out on to the football field. 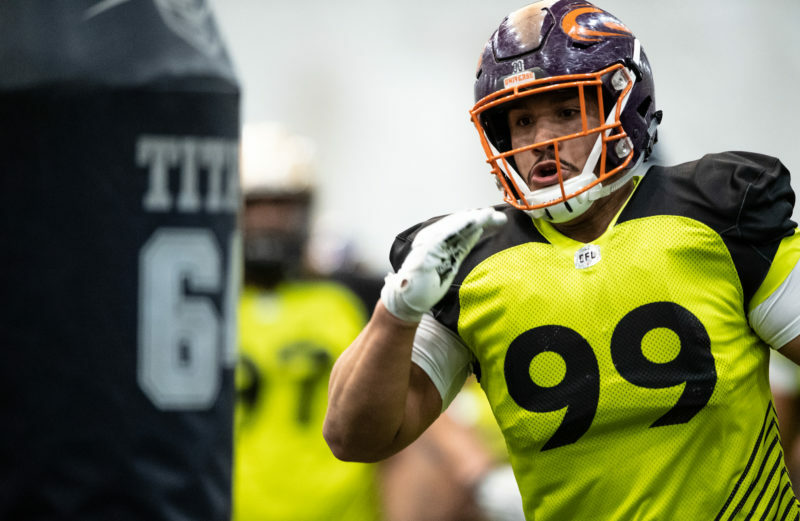 While he is currently a rookie in the Canadian Football League, he already has a large amount of previous experience playing in high-pressure situations in college and in the NFL. Watkins brings a lot of useful knowledge and skills to the CFL that he hopes to utilize in order to allow he and his team to succeed in 2012. Pat is still searching for a permanent home as a professional football player and it will certainly require a lot of hard work on and off the football field in 2012. Right now, he seems to have a very bright future in the CFL with the Argonauts, and he is undoubtedly doing a phenomenal job at learning how to play the game of football, the Canadian way.